Do I Really Need Treatment for Marijuana Addiction? - If you're experiencing signs of marijuana addiction, you should receive professional treatment before the drug takes over your life. Does Marijuana Addiction Really Require Treatment? - A marijuana addiction can have lasting negative effects that are difficult to reverse without professional treatment help. Does THC Abuse Require Professional Treatment? 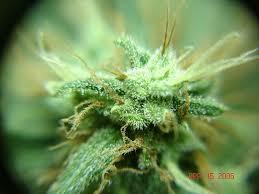 - Behavioral therapies are a common and effective treatment for THC abuse, although not always required. Effects of THC on the Brain - When Marijuana is smoked, its active ingredient THC can cause a variety of short and long term effects on the brain. How Do I Know If I Need Treatment for Marijuana Addiction? - If you smoke every day despite the fact that it's lead to problems in your life, you may require treatment for marijuana addiction.